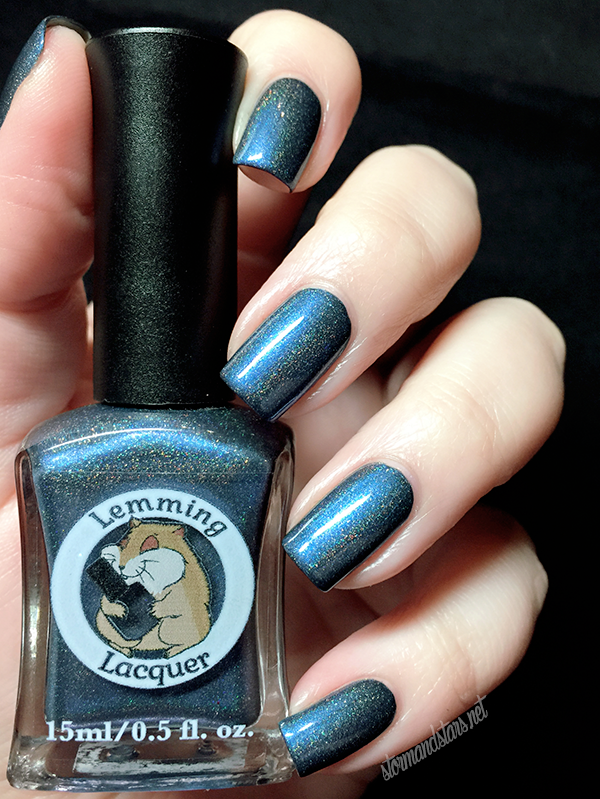 Gryla is a beautiful flashy blue holo with almost a metallic feel to it. It is completly unique in my collection. 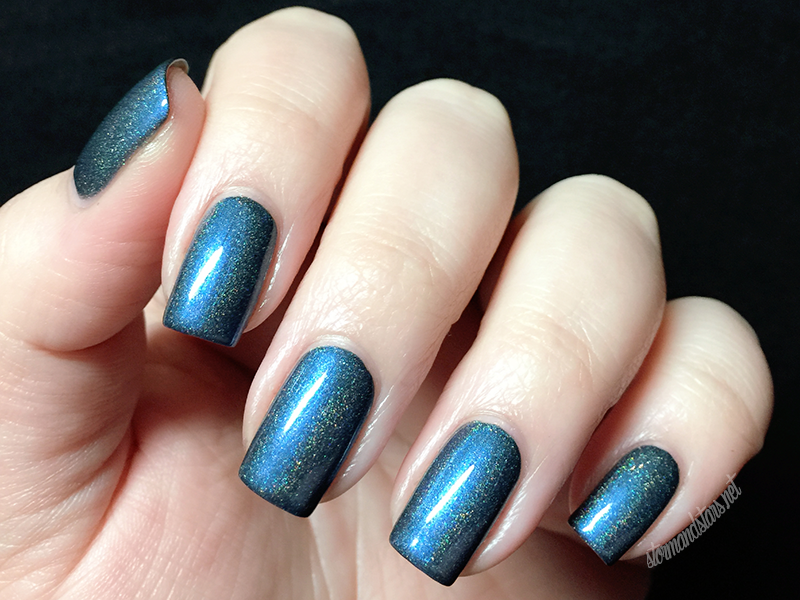 I used two coats of Gryla for these images and she went on super smooth and easy. At first I thought I may end up with brush strokes, but they easily smoothed out as the polish dried. 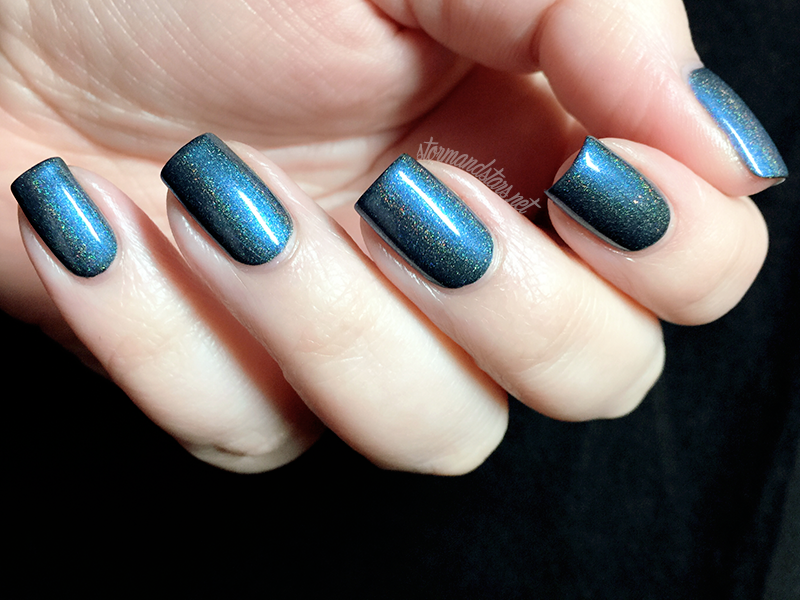 I added one coat of shiny topcoat to make the shimmer really stand out in these images. Next up is another beauty, Yule Cat. 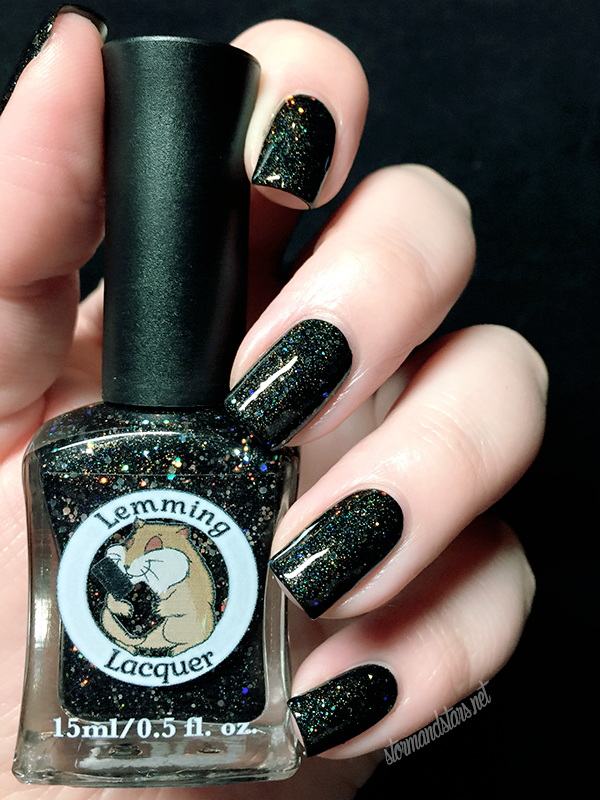 Yule Cat is a black base loaded with holo shimmer and glitter and shine and all sorts of beautiful silvery goodness. 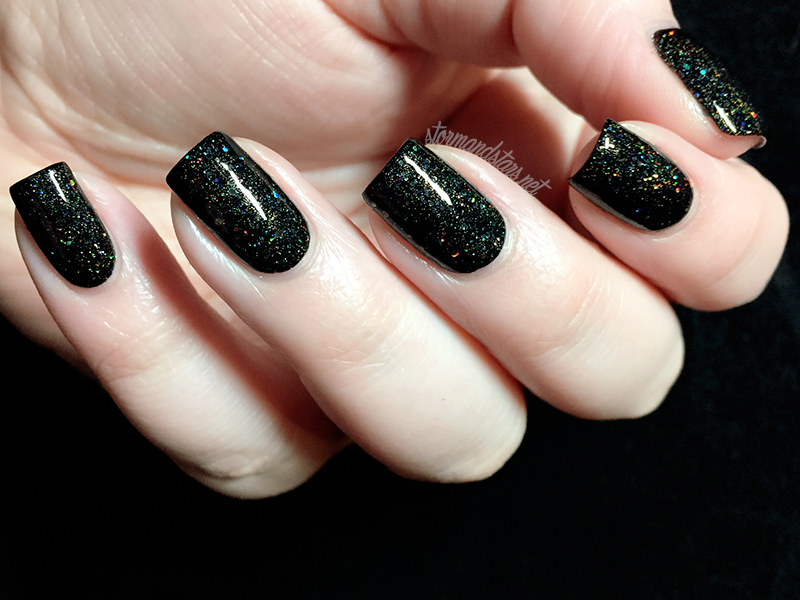 Look at that baby glitter! This is where I wish I was good at videos, cause you have got to see this in action. 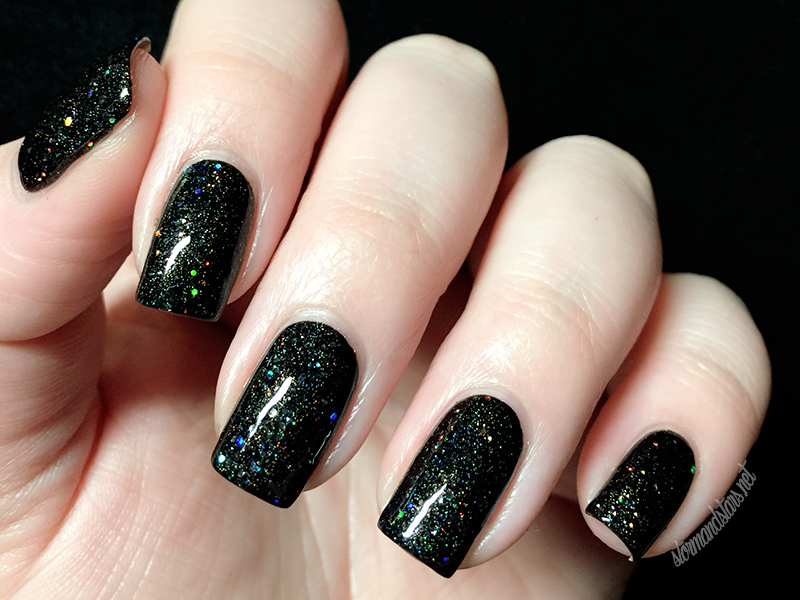 I did two coats of Yule Cat plus a thick coat of topcoat to smooth out this glitter bomb. I found the formula to be thick enough to hold the glitter but not so thick that it was hard to work with. Yum. This next green is one of my favorites greens I own now. Here is Perchta. I am not usually a fan of green. But this... I can get behind. 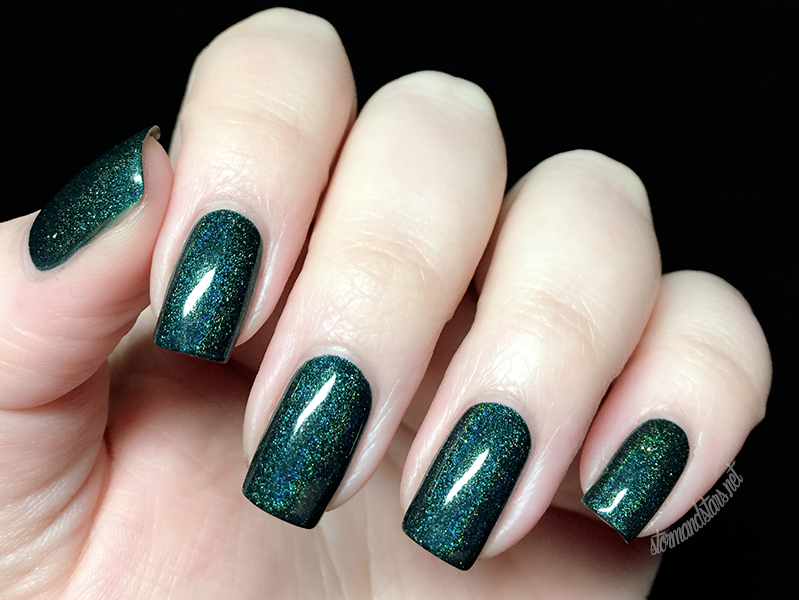 Absolutely stunning deep green holo polish with a perfect formula and holo for days? Yes please! I used two easy easy coats for these images and added a coat of topcoat for shine. Last, but most definitely not least is my absolute favorite of the collection, Krampus. Hoooooly... wow. This is another that is completely unique in my collection. 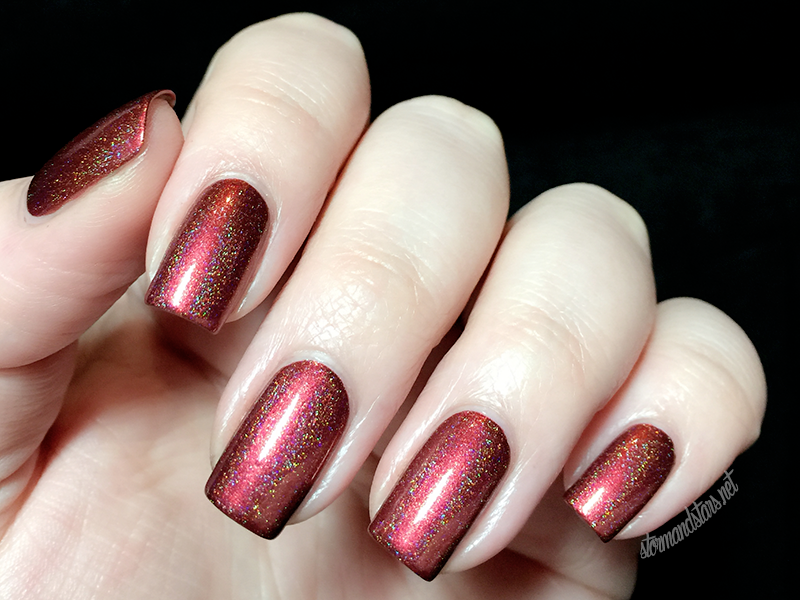 This red holo has the same sort of flashy metallic holo finish as the blue earlier. I am still wearing this red three days later and I have had more compliments on this color than any color I have ever worn. My coworkers usually ignore my polish obsession at this point, but this one? They're noticing for sure. 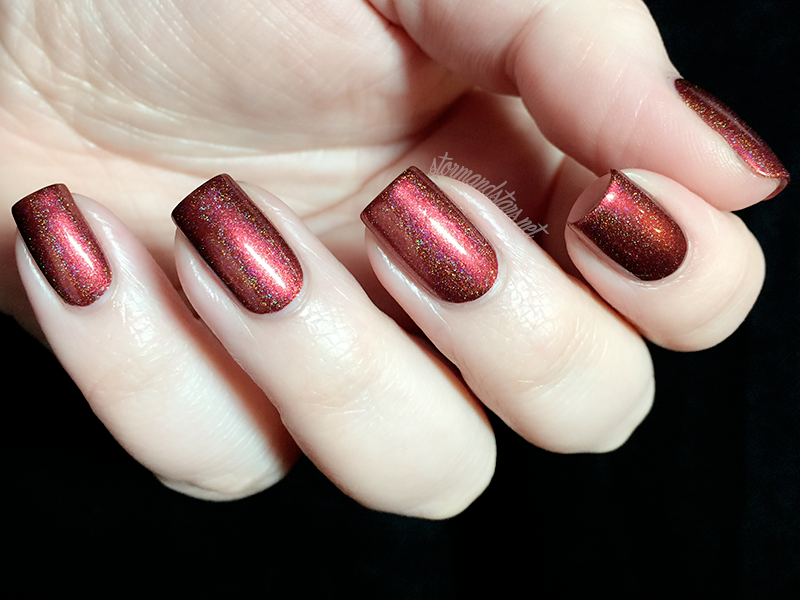 This red is perfect for the holidays and I'll be surprised if it doesn't find its way to my nails a couple more times over the next month. 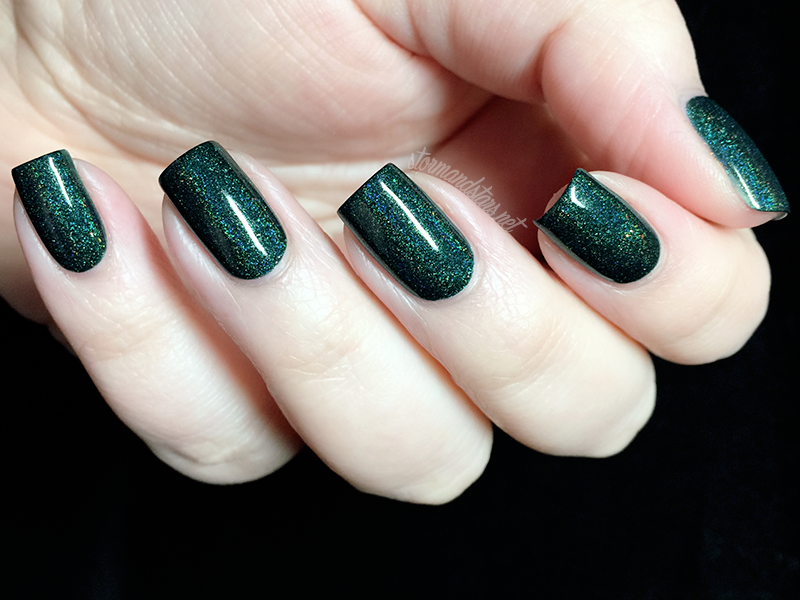 I painted on two perfect coats of Krampus for these images and topped with a shiny topcoat to finish. I loved the formula and had absolutely no complaints. Overall I would suggest the entire Better Watch Out collection, but if I had to choose, Krampus and Gryla are the most unique in my stash for sure. I don't have anything else like them. 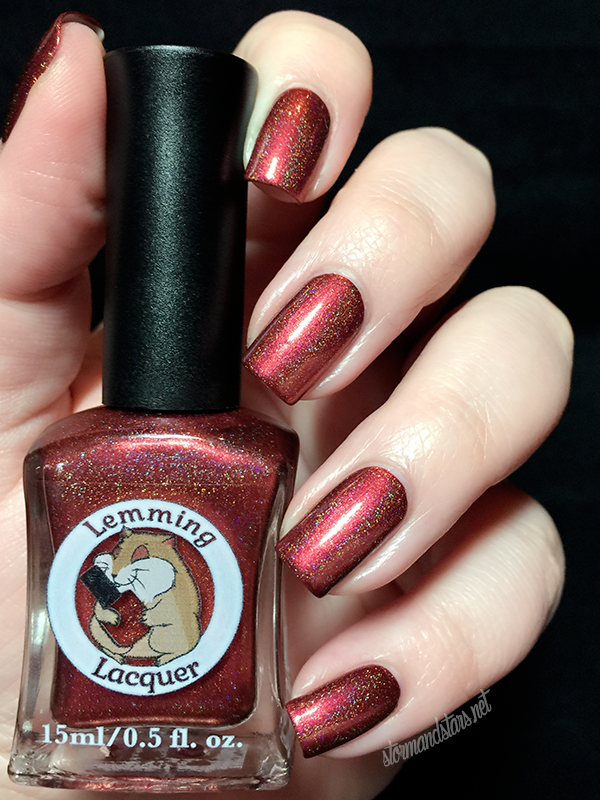 The Better Watch Out collection will be released this Friday, November 27th, just in time for your Black Friday shopping in the Lemming Lacquer shop. 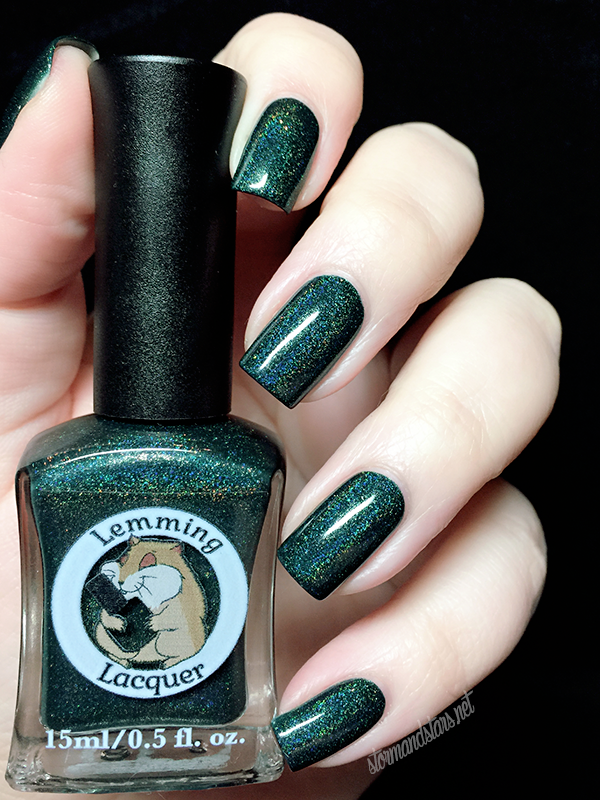 Don't forget to follow Lemming Lacquer and Cassie on social media to keep up to date with new releases and to see more images of these and other gorgeous colors! Love the last two! Beautiful swatches!